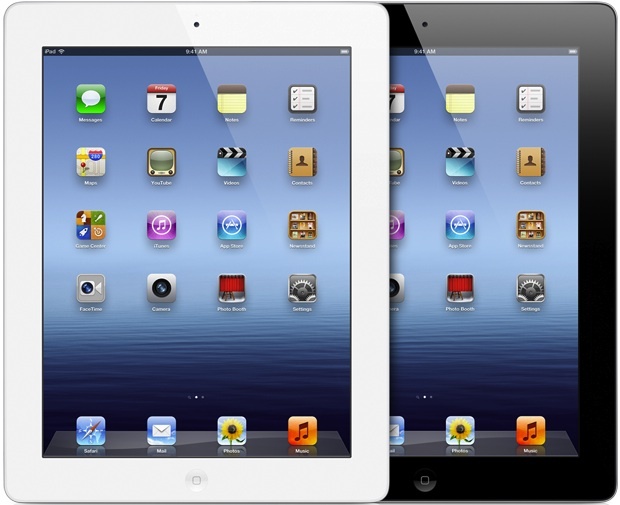 Update 3/15/2012: Walmart will begin selling the new iPad tonight at midnight, 12:01AM local time. We confirmed this with several Walmart stores, each apparently has about 15-25 units on hand. The new iPad will be released this Friday at 8AM. As usual with a new iPad or iPhone release, you can expect to see some pretty major lines and it’ll be tough to get your hands on one if you didn’t pre-order. Knowing who is carrying the device and where they are will increase your odds of grabbing an iPad early, though don’t be surprised if they all sell out quickly. Apple Store – Opens at 8AM. Guaranteed to have the most stock and widest model variety of new iPads, but almost certain to sell out within a short amount of time every morning. Your best bet is to get there early and wait in line, with a little patience in the morning you’ll probably get your hands on an iPad 3 sooner than later. Best Buy – Usually opens at 10AM, but you’ll want to confirm with your local store beforehand to insure that you arrive early enough to get one. Expect Best Buy to sell out quick. Radio Shack – Typically opens at 9AM, verify your local store. Radio Shack is a lesser known iPad retailer and so you may be able to get one on launch day if you’re quick. Don’t expect large stock in the earlier days though. Target – A traditionally reliable source of new iPads if you move quick. They open at 8AM and even have a reliable stock indicator on their website. Expect sell outs. Walmart – Because the average Walmart customer is less tech-conscious, Walmarts often have a fairly good record of having a few iPads in stock. You will almost certainly see lines during the initial availability periods though, and more rural stores may not get iPads on launch day at all. AT&T Store – If you’re in the market exclusively for an iPad 4G LTE on AT&T, aiming to be at an AT&T store when they open gives you a fairly decent chance of buying one. Expect sell outs. Traditionally, retailers get significantly fewer iPads than the Apple Stores do, and often in fewer model choices. If you aren’t picky about which iPad 3 you buy, any store that you can get to early should work. Just be aware you may only have 32GB White models, or 16GB Black 4G, or 64GB Wi-Fi, or some other slim variety of models to choose from. The widest variety of choices are almost always at Apple Stores this early in the buying cycle. Plan accordingly, and remember that other than the storage capacity and wi-fi/4G ability, the features and specs of each iPad 3 are the same. Craigslist – If all the local stores are sold out and you absolutely must get your hands on an iPad 3 right away, Craigslist works. Expect to pay inflated prices to cover the cost of whoever spent time waiting in a line somewhere, it’s not unusual to see a $100-$200 markup. Order Online from Apple – All early availability sold out quick, and there is currently a 2-3 week delay for shipment on new orders. Nonetheless, if you don’t mind waiting a couple weeks and you don’t want to wait in line somewhere or pay an inflated rate on the resale market, buying online from Apple is a no brainer. I am in the market to buy the new iPad in June when visiting Boston. Any idea if the stock level of iPad 3 will have normalized at this time? When did sale normalize after iPad 2 launch? By June you will be fine, it took about 2-3 months for the iPad 2 stock to catch up to demand on a consistent basis, though every Apple Store gets new shipments in daily. I’m sure Apple learned from that experience and they almost certainly bumped up the production capacity so they won’t lose any sales over supply issues. Target hasn’t had any of the new iPads for 2 months now. They have plenty of the older iPads though.